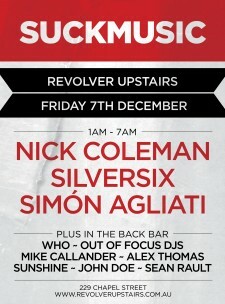 Party #15 at Revolver Upstairs is upon us this Friday from 1-7am. This month Simón Agliati has his debut EP Work That coming out on the label. We look forward to hearing a long overdue DJ set from the talented house and techno producer. Suckmusic at the door for cheap entry.